EEEEEEEEK! This is by far one of my favourite presents I got this year. I have being wanting to try out Estee Lauder skincare for so long but never actually got round to purchasing some. These two product I had my eye on simply because of how loved they are by everyone and everything. 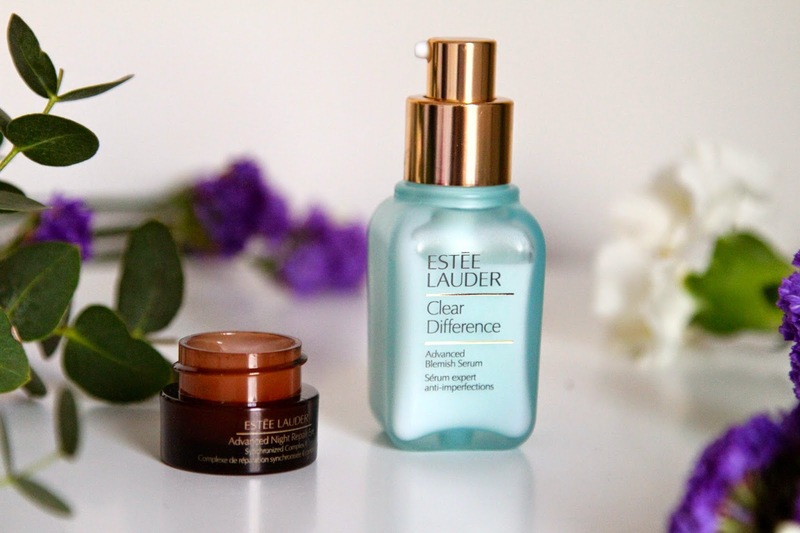 To the left we have the Estee Lauder Advanced Night Repair Eye Cream. This light weight, gel textured eye treatment cream refines lines, smoothes wrinles and takes away the dark puffy area none of us like. I absolutely love this and from the first time I put this on you can immediately see a difference. I kid you not, your eyes look more awake, healthy and vibrant. The texture of the gel doesn’t feel sticky or uncomfortable, and doesn’t leave your eyes irritated like some do. With anti-aging properties, this formula gives a youthful complexion working perfect with its brother, the Advanced Night Repair Serum. Full Review later in the year for this little gem. 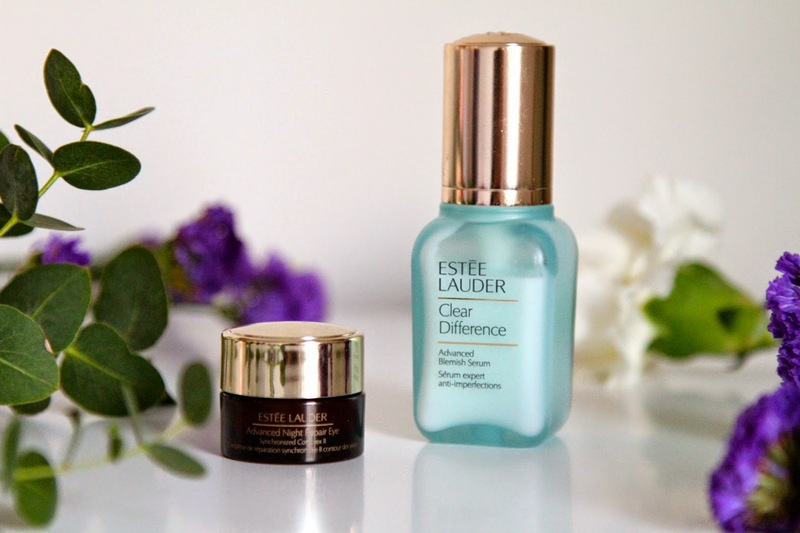 Next up is the Estee Lauder Clear Difference Advanced Blemish Serum. Wow what a mouthful. This is another ‘I want one of those’ products I’ve had my eye on for quite a long time. I was tempted to buy this while I was in Paris but found that it was cheaper in the UK, after never getting it, I was surprised on Christmas with this in my stocking. Oh and don’t I just love it. With a moisturiser like texture, this easily applies to spot prone areas with even coverage, protecting and treating the skin. I tend to apply this on an evening as the serum stage in my routine, so by morning your face is blemish free and glowing. Oh I love it! At around £39.99, this is a perfect serum for anyone wanting to spend a little bit more money on a blemish busting remedy.